Tokyo: A Tokyo restaurant is honouring the crowning of the new Japanese emperor next month with a football-sized wagyu beef hamburger served between gold-dusted buns - at an eye-watering cost of $900 (Dh3,305). 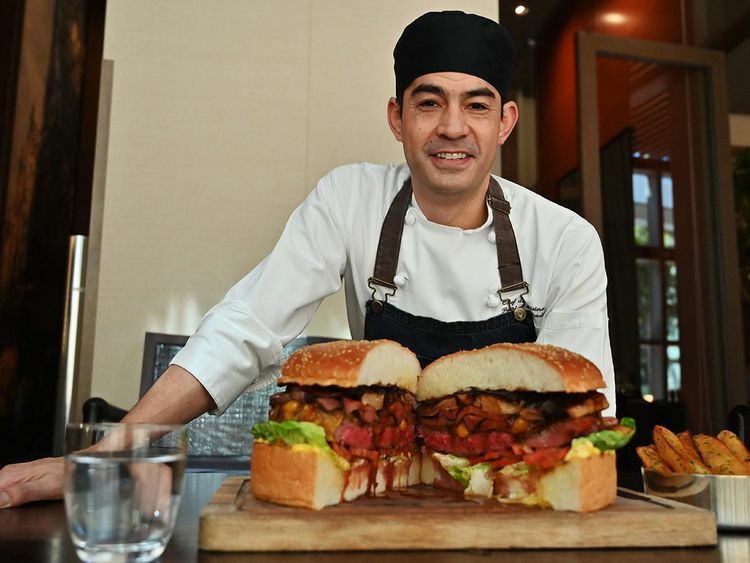 The juicy three-kilogram whopper, painstakingly prepared by chefs at the swanky Oak Door steakhouse in Tokyo's Roppongi district went on sale Monday. "Doing this through an American-style burger using Japanese ingredients - it's kind of like myself in a bun." The Golden Giant Burger, which commemorates the coronation of Crown Prince Naruhito on May 1 and marks the ushering in of Japan's new Reiwa Era, will stay on the menu until the end of June - although it costs a king's ransom. The super-sized feast, which is sprinkled with gold flakes, will set hungry diners back a meaty 100,000 yen ($903) - but comes with a drink to help soften the blow. As chefs get busy grilling their giant burgers, in mediaeval times cooking meat - particularly beef - would have landed them in hot water. A 1,200-year ban on the consumption of meat in Japan - first decreed in the seventh century on a seasonal basis - saw people severely punished for defying the law and was only ended by the Emperor Meiji in 1872. "There are so many burger places in Japan these days," said Shimada. "Walk down the street and you can get a burger almost anywhere. Things catch on - and when they catch on in Japan, they kind of blow up."